Brushless direct current motor in compact design for flange mounting with integrated incremental encoder. 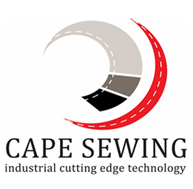 Usable for Overlock and Feed of the arm machines. A completely new and innovative head mount system allows for trouble and wear free operation on machines from various manufacturers. Housing tolerances of machines for directly driven shafts can cause problems and damage to the machine bearings. 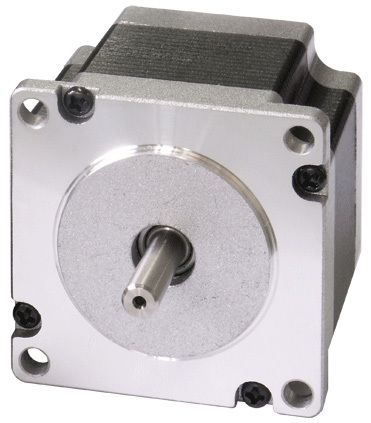 With the new unique motor mounting system these tolerances are automatically compensated for. In addition, there is a separation of the machine and motor cooling which insures that additional heating of the machine by the motor is avoided. Brushless direct current motor in compact design for flange mounting with integrated incremental encoder. Usable for Overlock, Chainstich and light Lockstich machines. Stepper motors are digitally controlled drives, and have gained great acceptance and spread since the technology change from analog to digital technique because of their cost-effectiveness combined with long product live as well as low control requirements. The SM201M motor with Molex connectors are used with our compact AB425S control unit with 2 integrated stepping motor drivers. The SM201S motor with SubminD plugs are used with our budget-priced SM210A stepping motor control for accurate speed and positioning applications. The “Fullfunction” Control for sewing machines with footlift, high lift walking foot, Trimmer, thread tension release and Backtack. Functionally expandable for connecting the steppermotor control SM210A. In addition, programmable with C200 compiler. The “Fullfunction” Control for heavy sewing machines with footlift, high lift walking foot, Trimmer, thread tension release and Backtack. Functionally expandable for connecting the steppermotor control SM210A. In addition, programmable with C200 compiler.